We are working with 360Giving to publish information about our grants. By publishing our data in an open format, we hope that it can be shared and compared more easily and enable more effective grant-making. Using the 360Giving data standard, the grants we have awarded since January 2017 can be accessed via the excel spreadsheet below and is available to explore in GrantNav, 360Giving's search tool. This data will be updated in January, April and July. This work is licensed under the Creative Commons Attribution 4.0 International License. This means the data is freely accessible to anyone to be used and shared as they wish. 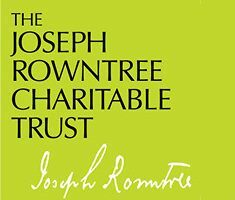 The data must be attributed to the Joseph Rowntree Charitable Trust. This database includes all grants made by JRCT in the past five years. To search the database click here. We also publish information on the grants we have awarded in our Annual Report and our Update (which is published three times a year).